Announcement All jewelry and artwork presented in our store are intellectual property of SZ Jewelry Design, LLC (Natalia Moroz, Sergey Zhiboedov, and Lev Moroz). Our current production time on jewelry items made to order is about 7 weeks. Artworks and ready to ship jewelry pieces are mailed within 1-2 days. International customers - please note that VAT is NOT included. All jewelry and artwork presented in our store are intellectual property of SZ Jewelry Design, LLC (Natalia Moroz, Sergey Zhiboedov, and Lev Moroz). More than 5 stars! 10 stars instead. A very unique & one of a kind pendant! Beautifully crafted & great quality. Natalia & Sergey are both outstanding artists! It’s a piece of art rather than a piece of jewelry. Excellent service throughout! Can’t wait for the other piece that I have ordered!! Check out their Facebook & Instagram/WingedLionJewelry. 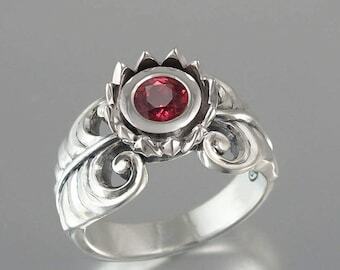 The ring is extremely well-made and very beautiful. It looks quite stunning in person and I am pleased with my purchase, as well as the accurate production time. They really put some attention to details in this peace. Our recently designed Odelia engagement ring set. We truly love the process of creating our artworks. Our home is full of artistic pieces we've done - watercolor and oil paintings, wood carvings and mosaic mirrors, papier mâché puppets and painted windows. Art is something that makes us happy, it's our way of enjoying life at its fullest. We sincerely hope you'll share our pleasure by owning our artworks - hand-pulled prints and jewelry. Enjoy them for years to come! Natalia is a fine art printmaker and illustrator. She does jewelry design and menages SZ Jewelry Design, LLC. She also creates the store listings, photographs jewelry, packs ready pieces for shipping, and answers email inquiries. 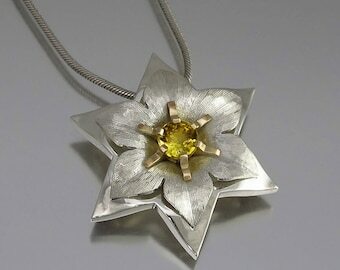 Sergey is an artist and jewelry designer. 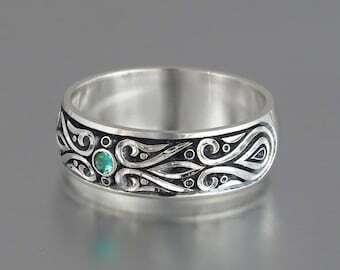 He designs and makes jewelry offered in our etsy store. Our son Lev has always been involved in arts: drawing, painting, and printmaking. 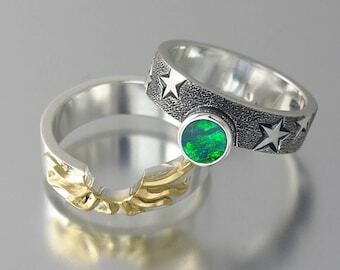 Now, he is learning soldering, engraving, and stone setting, and helps Sergey with jewelry making. 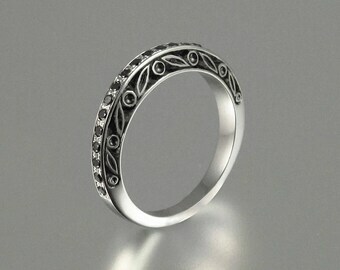 His new role in our company is 3D jewelry design. Thank you for stopping by to get acquainted with our Policies. If there is something we didn't cover, please ask us directly and we'll be happy to answer all your questions. If you are not satisfied with your purchase, please contact us through the etsy convo system, so we can discuss how to solve the problem. Jewelry pieces which haven't been customized (pendants, earrings, necklaces, cuff links, bracelets) are returnable within 5 days after being received. Please contact us before sending us anything, otherwise we cannot be responsible for any piece returned to us without proper authorization. 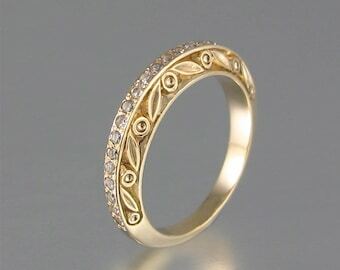 Rings and bands made to order in the size specified by the customer are not returnable. However, we'd like our customers to be happy with their purchases, so if there is any problem, please contact us and we'll find the way to solve it. We guarantee the structural integrity of a jewelry piece under the conditions of normal wear against the defects of the craftsmanship. Regular maintenance (cleaning, polishing, re-applying rhodium, etc) is a customer's responsibility and can be done at a local jewelry store. We will replace lost small accent stones within one year. We also do most repairs. A customer will be responsible for shipping a jewelry piece to us. If a ring was purchased without a central stone and set by another jeweler, or resized, or modified in any way, the warranty is voided. 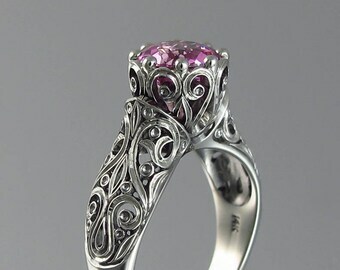 We cannot offer warranty for central stones, but you can obtain an insurance with a private jewelry insurance company. We can sometimes replace central stones, but not always. 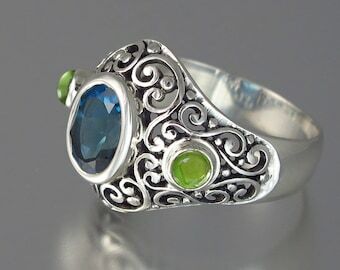 The cost of the replacement depends on the gem's price and availability as well as the ring's design. Please contact us with a detailed description of the problem and a photo, so we can evaluate what can be done to fix it. We accept payments by Paypal, personal or certified Check, and money orders. Payments sent by mail are paid to the order of "SZ Jewelry Design, LLC" - our registered company name. "WingedLion" is our certified assumed name. Down payment (usually about one third of the total price) reserves the piece for the buyer with the set price. We also would need to know when the buyer plans to pay the remaining amount (in one or two installments) and set up a payment plan. $5 processing fee will be added to each subsequent payment. When we receive the final payment, the item is made and mailed to the buyer. Shipping will be made to the address specified by etsy. If you wish the item to be shipped to a different address (work address or to somebody else as a gift) please let us know in the note to seller or by convo system. All packages are mailed fully insured by USPS mail (first class or priority, depending on the price of the piece). If any other shipping method is preferred, please let us know in advance and we provide you with price quote. We can ship worldwide except to the following countries: Afghanistan, Algeria, Angola, Belarus, Bosnia, Burma, Burundi, Congo, Cuba, Herzegovina, Iran, Iraq, Ivory Coast (Cote d'Ivoire), Jordan, Liberia, Libya, Moldova, Montenegro, Nigeria, North Korea, Paraguay, Russia, Serbia, Sierra Leone, Somalia, Sri Lanka, Sudan, Syria, Togo, Yemen, Zimbabwe. The US Postal Service doesn't offer insured shipping to these countries, so we cannot take responsibility if a package sent to these countries gets lost or damaged in transit. Please note that we have a right to cancel a transaction if the shipping address is one the countries from the list above. The list will be updated in accordance to the USPS policies. We also stopped mailing to Brazil as its postal system takes about 3 months to process shipping. Our international shipping rates included in the listings are based on price estimates provided by USPS. Jewelry pieces under $100 are shipped by the most economical method of shipping - first class international. 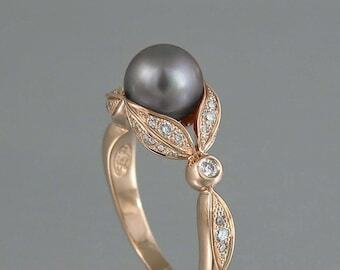 Jewelry pieces from $100 to $400 of value are mailed by insured first class insured mail. 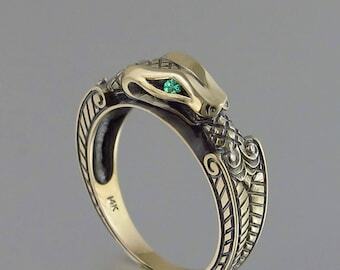 Jewelry pieces of over $400 value are mailed by USPS Priority mail with insurance. International customers - please note that VAT is NOT included. International customers are responsible for any import duties or taxes charged by the recipient's country. By law, we are required to mark the full value of the enclosed items on the custom forms. Please check import duties policy for your country as this may increase the price. All prints are shipped flat unless specified otherwise (the large artworks are shipped rolled, and it's always stated in the item description). Please note that when we give a quote to a potential buyer, the quoted price is valid for 2 months. We adjust prices according to the changing precious metal and gem market. 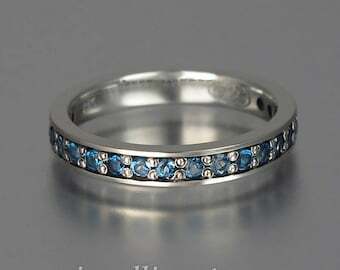 When requesting a price quote or making an inquiry for a ring, please provide us with the ring size. 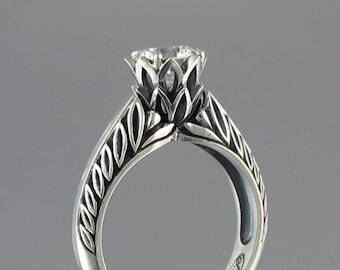 If the ring doesn't fit right because of the inaccurate sizing information, and it has to be resized, please contact us. 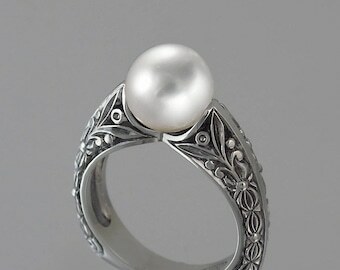 Fees for resizing a ring start at $30 plus shipping. The amount could be more for gold or two-metal rings. It also depends on the gem type used in the setting. Most colored gems cannot withstand the heat needed for soldering, so they have to be replaced after resizing. Some gems are hard to find, so they cannot be replaced but with other stones. We do not offer ring inscriptions - we do not specialize in letter engraving. Besides, we would like our customers to receive the purchased piece and make sure they are completely happy with it before customizing it with a personal message. 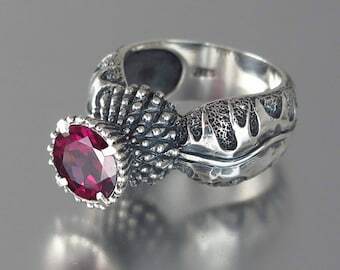 All jewelry items (unless they are titled as "Ready to ship") are made to order and can expected to be ready in about 6 weeks after receiving a cleared payment. Our production time could be longer during busy holiday time. If you need it faster, please ask before placing your order, and we'll let you know if we can fit into your schedule. 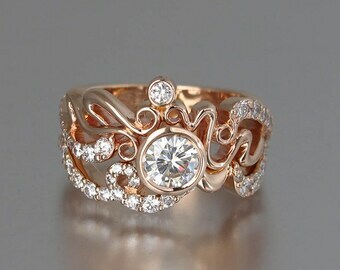 When ordering engagement or wedding rings, please do so in advance as the production and shipping time might be longer.